The winemaker Andy Erickson and the viticulturist Annie Favia have teamed up in both marriage and their Favia Erickson Winegrowers label. 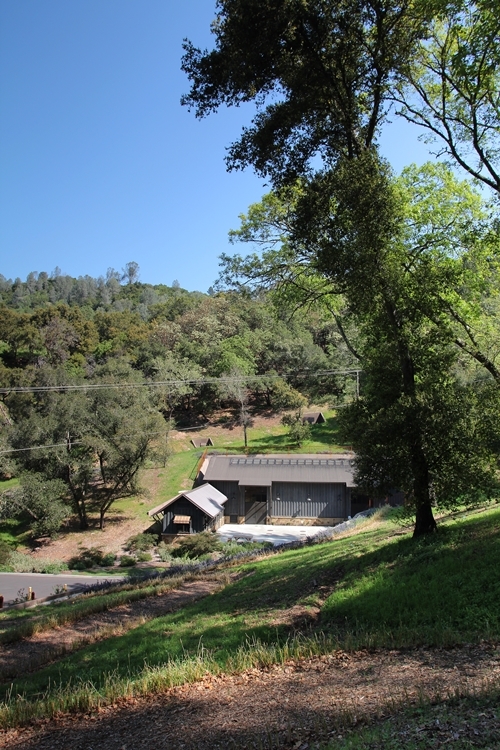 Favia Wines was started as a garage project in 2003 and has since then grown to a small successful operation from Dancing Hares’ winery on Howell Mountain. 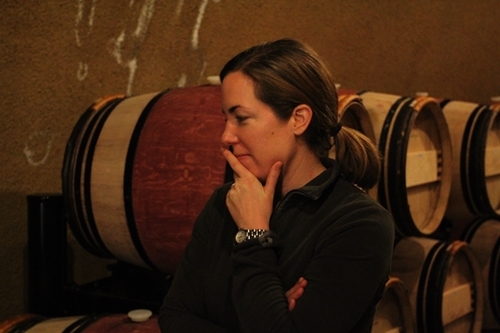 Favia Erickson combines two of the most impressive CVs in viticulture and winemaking, respectively. 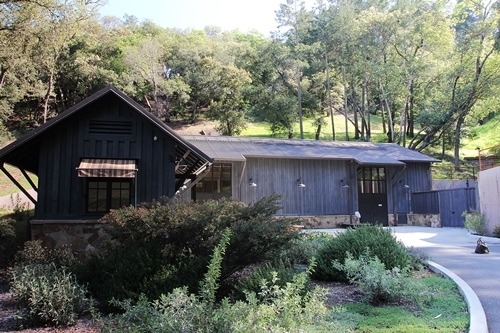 Andy Erickson started his days in Napa in 1994 working for Harlan Estate, he later moved on to become Staglin’s winemaker, and was named winemaker of Screaming Eagle (here captured), when the cult winery changed hands in 2006. Few winemakers in Napa have experience to match Andy’s. Annie Favia has worked under legends such as John Kongsgaard, Cathy Corison and David Abreu. She was fortunate to work alongside Abreu and his team for more than 11 years, through a period, where they established and developed some of the valley’s most highly regarded vineyard sites. 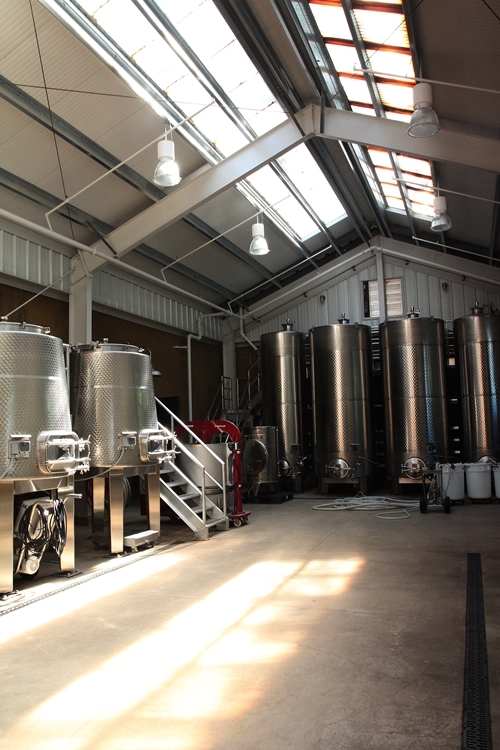 Abreu’s clients include Blankiet, Staglin, Pahlmeyer, Colgin, Harlan, Araujo, Sloan, and Bryant Family Vineyard. Dancing Hares Vineyard is one of the valley’s truly boutique sized wineries, with only 2 hectares of vines. It is owned by the couple Paula Brooks and Robert (Bob) Cook, who have gathered an exceptional team of Andy Erickson, Michel Rolland, and David Abreu, to process the fruit at their extraordinary facilities. 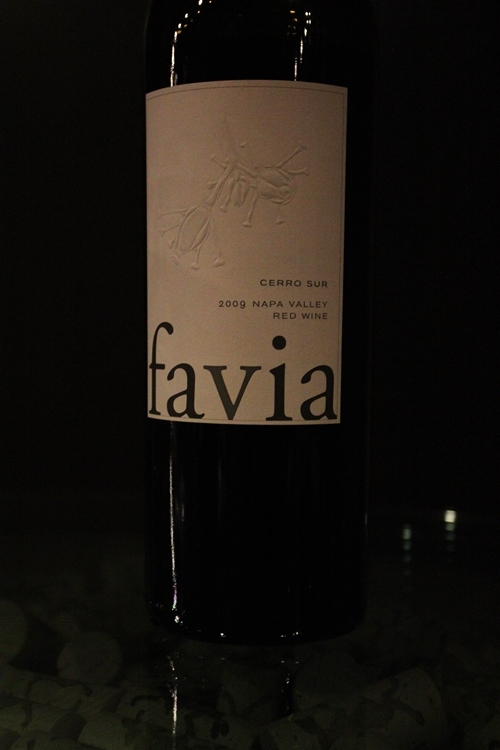 It is also here Favia Wines are made. 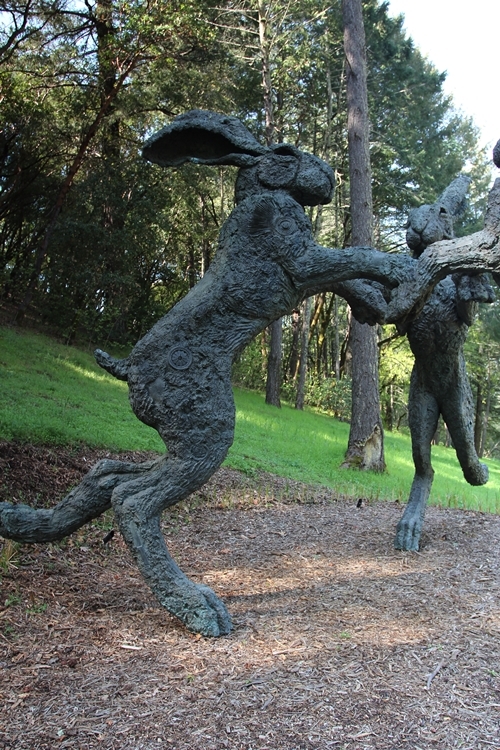 Unsure if they named their vineyard Dancing Hares before or after they purchased the remarkable sculpture, found on the hillside of their property. Clearly no expenses have been spared when they established this little winery. 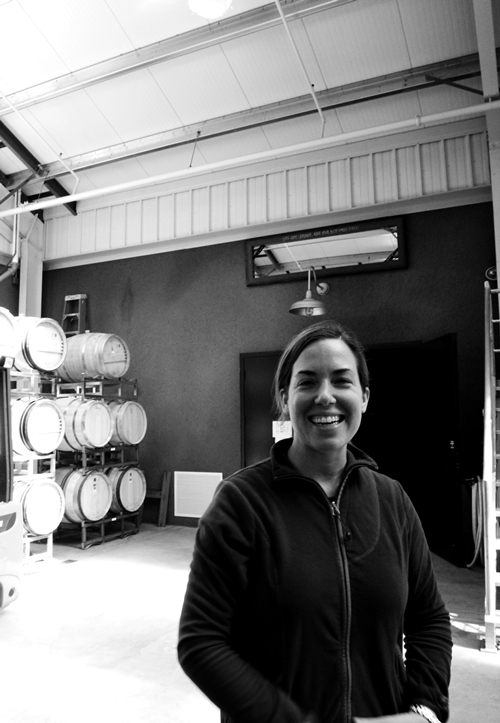 I met up with their assisting winemaker, Jessica Tarpy, to learn more on Napa’s new breed of Cult wines. It is honest to say, that there has been a trend of deep-pocketed proprietors following a certain recipe to greatness. Even though many will love to disagree, it is often a costly affair making great wine. Finding the optimal combination of fruit, gentle processing, and ageing, is expensive. 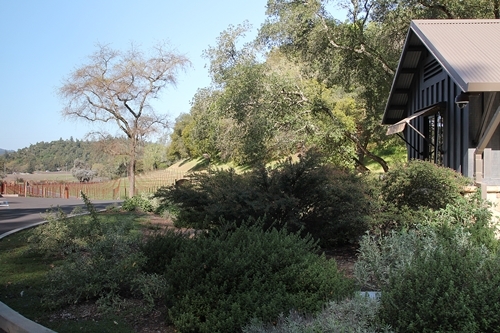 Moreover is it a dream of many affluent individuals, to become a vintner in Napa Valley. 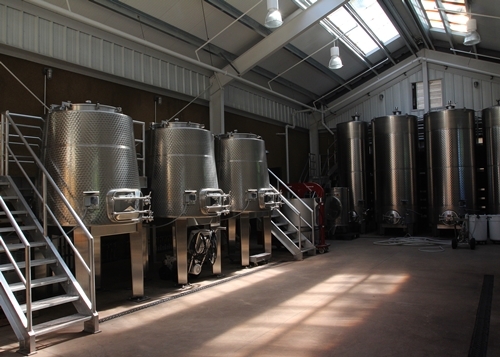 There is a saying in Napa Valley; “How do you become a Millionaire winemaker?- You start out by being a Billionaire”. 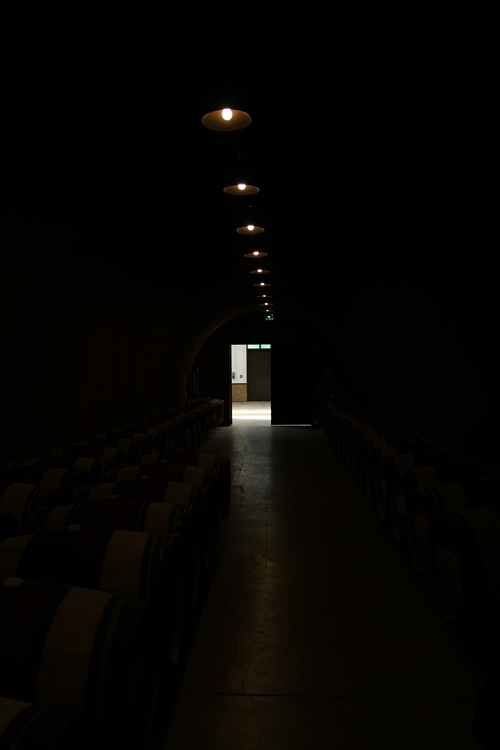 Favia Wines would for the same reason have been a very different project, if it did not have the couple involved, with their impeccable talents, know-how and supportive friends. 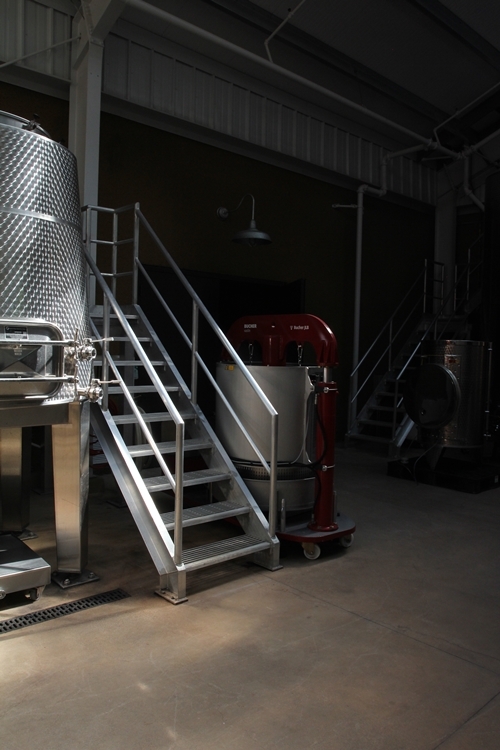 Here we see one of their exceptional stainless steel tanks, and a basket press. 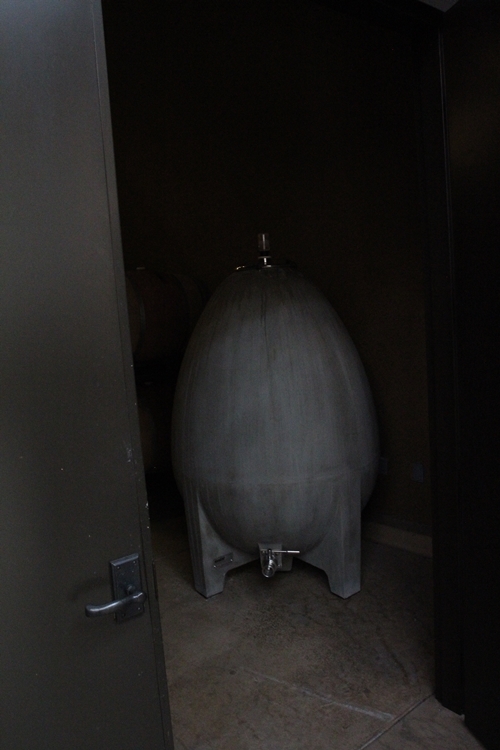 The concrete egg has become popular for fermenting especially white wines (to gain richness and texture). 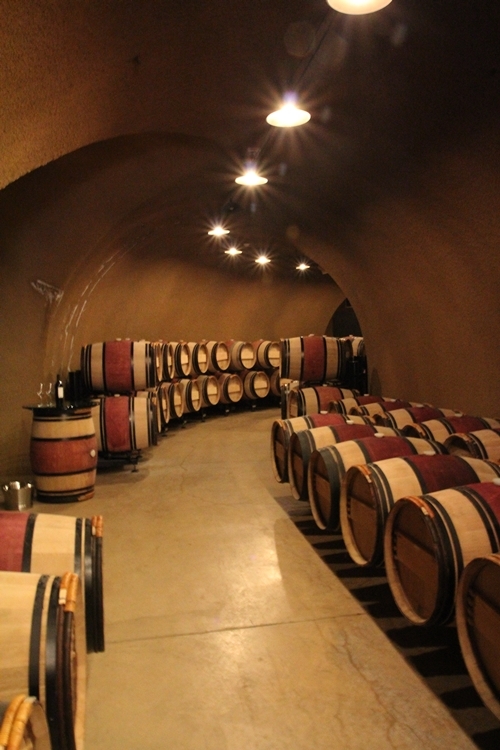 The caves for barrel ageing, are often pushed by the local counties in Napa, who favour them when granting planning permissions. It is though more what these caves keep that make them interesting. A small fortune is invested in their oak barrels. Beautiful craftsmanship! The best French coopers/tonneliers have a very close collaboration with their clients. 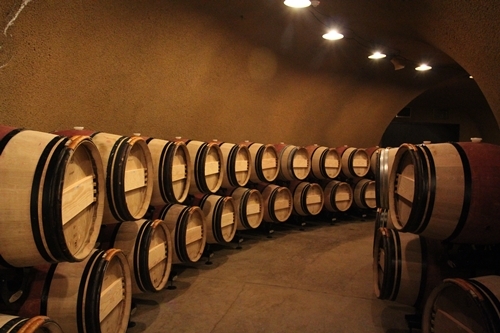 A yearly cooper tasting is held, to evaluate different toasts and barrels on the wine. I was personally surprised by how different the same wine was, when I got to participate in Opus One’s cooper tasting. Favia Wines had by coincidence also arranged their cooper tasting on the day of my visit, which meant I got to meet representatives from another famous Cooperage in Bordeaux. The perfect setting for a tasting. Not owning any vineyards results in sourcing all the fruit for their wines. 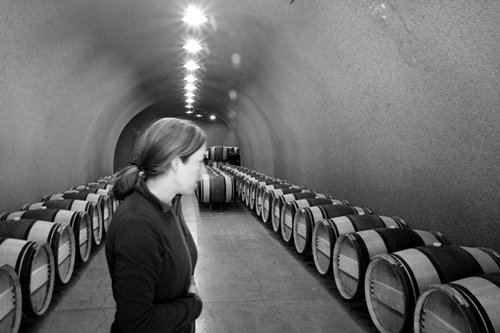 Annie Favia is deeply involved in the viticulture, and the vineyard sites are carefully selected. 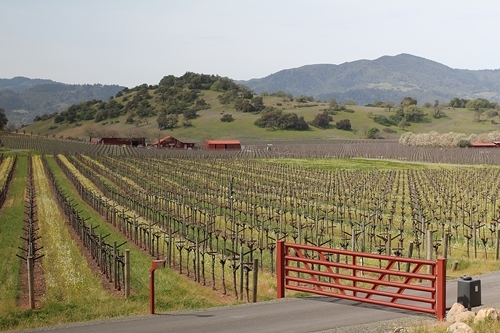 Their chosen styles and grapes are very different from what trends in Napa, and the fruit is processed aiming to achieve natural, balanced expressions of the individual terroirs. Here the 2009 Cerro Sur. The blend is perhaps their most treasured wine. Annie has since her early days been truly fascinated by Cabernet Franc. The grapes to make it, come from special vineyard blocks of 30+ year old Cabernet Franc vines, positioned on high-elevations in the eastern Vaca Mountains. They have described it as a dream come true when they were able to take control of the sites, eleven years ago. 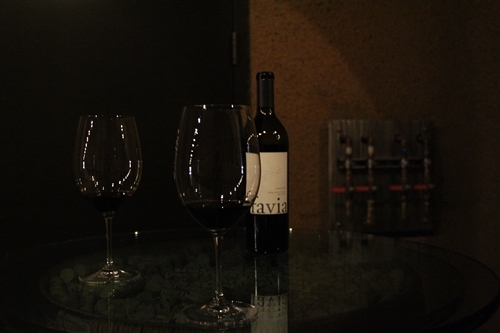 In the 2009 Cerro Sur, the Cabernet Franc was joined by 40% Cabernet Sauvignon from their grower in Coombsville. The two blends incredibly elegant. The wine is intense, and it coats your mouth with dense velvety textures of pure joy! Aromatics included layers of liquorice, spice, fresh sage, and pencil lead. Flavours were complex and yet so simple and easy to digest; extremely pleasing. Jessica Tarpy was an exceedingly pleasant host, who always returned with personal, carefully considered answers. A closer look at the iconic sculpture, will make you realise how massive it is. 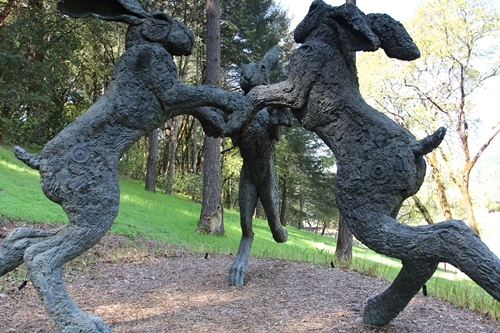 The sculpture is created by the London-based artist Sophie Ryder. It is cast in bronze, and the artist has embedded everyday household objects in it, encouraging “children” of all ages to seek and find these things. 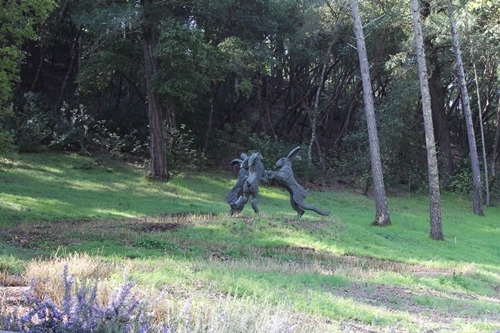 Their winery seen from the Dancing Hares sculpture. 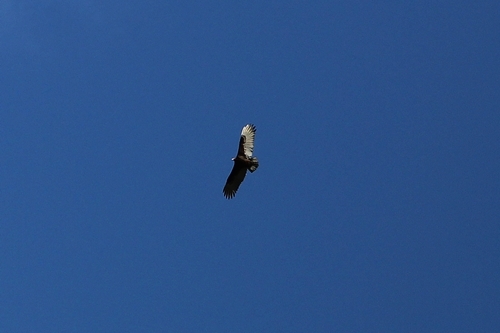 Spotted another visitor, when I was just about to leave, flying majestic over the property.